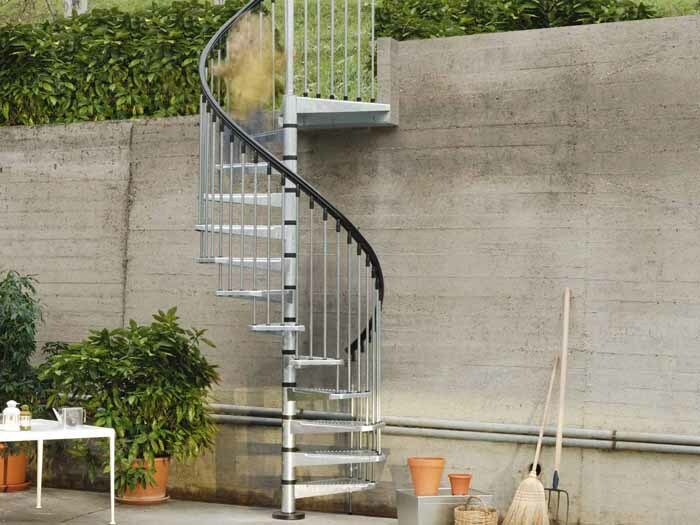 Designed for exterior use, the Civik Zinc Outdoor Spiral Staircase Kit is a perfect solution. 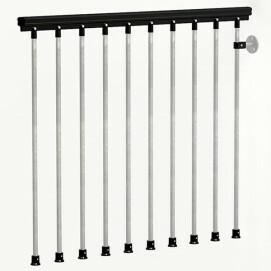 The metal parts are hot galvanised for protection against rust, all hardware fittings are in Inox steel and the black handrail is in extruded PVC. 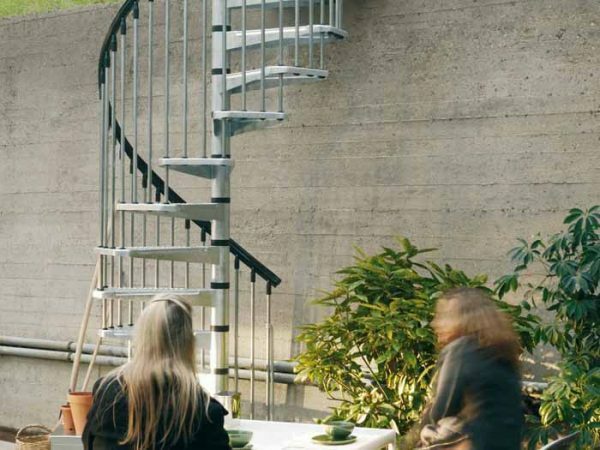 And, because of the clever design concept where the stair is supplied in modular format, the Civik Zinc Exterior Spiral Staircase can be installed by any competent DIY person – and is extremely cost effective! 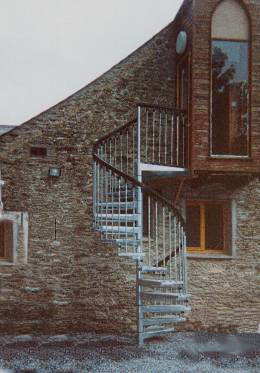 You can install the Civik Zinc spiral stair in a clockwise or anti-clockwise ascent, deciding this when you install it. 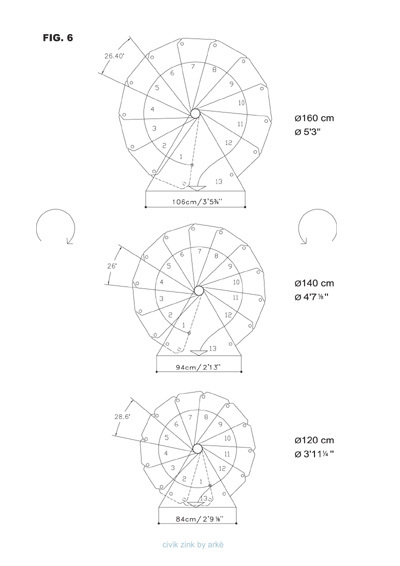 Available in three diameters – 1200mm, 1400mm and 1600mm to suit your project. 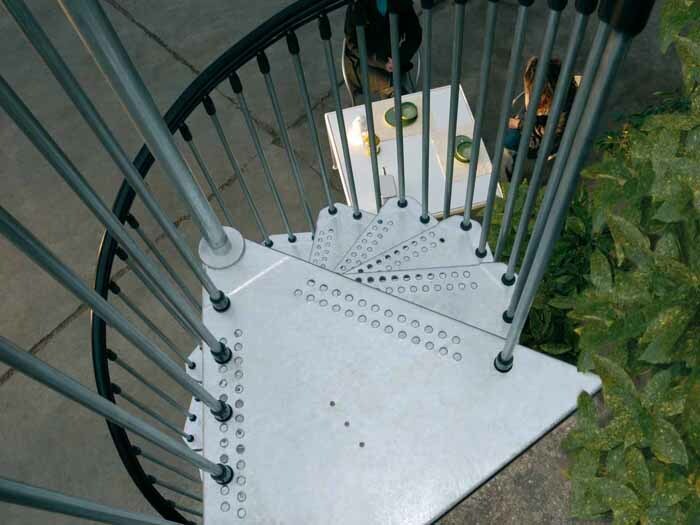 The staircase features vertical galvanised steel spindles and treads, which are punched for drainage and safety. 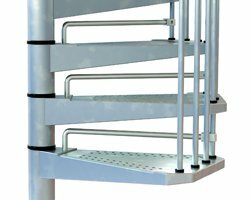 The standard stair kit has 13 treads/13 risers (including the triangular landing tread); you can check what you need for your project in the information tabs below. 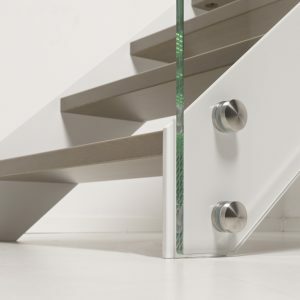 Matching accessories: balustrading for the stairwell and riserbars to fit between the treads. 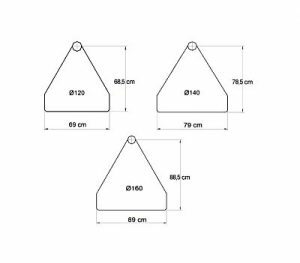 Please select the diameter from the drop down boxes below. N.B. 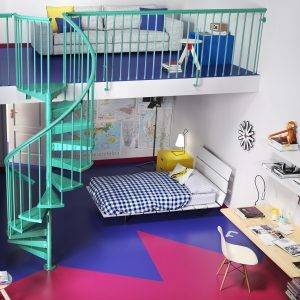 The Standard Staircase Kit will fit a finished floor to floor height of 2740mm to 2860mm (to UK Building Regulations) without needing any additional components. 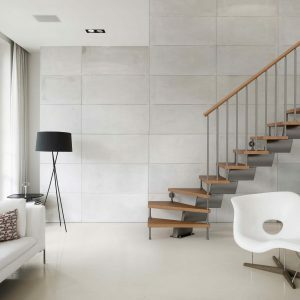 Lower or higher floor to floor heights than this may require additional components. 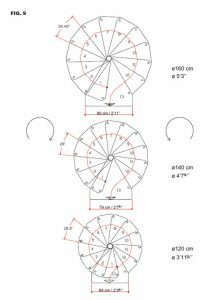 Check on the Civik Zink Exterior Spiral Stair Kit Components Sheet to make sure that you’ve got everything you need for your project. If in doubt, give us a call and we’d be happy to help. Spiral staircase Civik Zink from Fontanot S.p.A. on Vimeo. 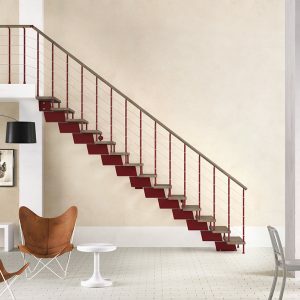 For all detailed dimensions of the staircase please use the Arkè brochure on the Layout Options tab and zoom into all the details shown there.